For much of his life, Jameel Syed has been led by inspiration. In fact, it was the inspiration and influence of a special Quran teacher he knew in his youth that helped to shape a great part of his spiritual life today – his role as a muaddhin. Of the Adhan, Syed said he still stands in awe of it despite having offered the call for years. What’s more, Syed said the Adhan has the power to touch people, no matter their faith, which makes it all the more beautiful and powerful. Now, having spent years calling thousands of faithful Muslims to prayer, Syed said he wants to do more, to make his mark. “Why not do something extraordinary?” he mused. So he looked inward, to his talents both spiritual and secular, when determining how to set himself apart. 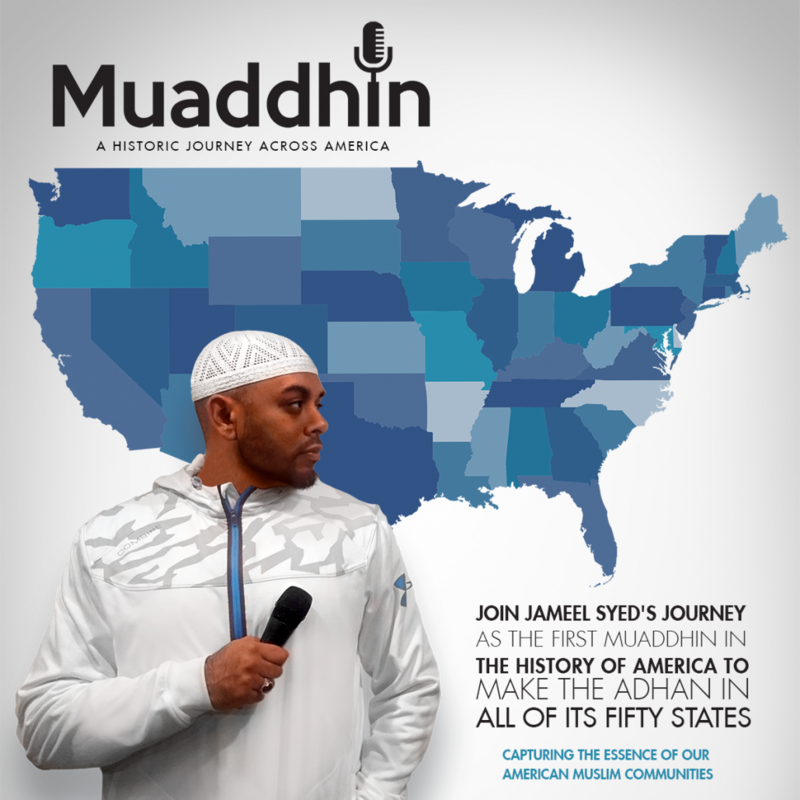 With that in mind, on April 3 Syed is embarking on a journey across America during which time he aims to give the Adhan in each of the 50 states along the way and to recite the Prophet Muhammed’s famous Last Sermon, as well. He plans to fulfill his mission by May 8. But he said this historic road trip – which will be by car and by plane when necessary – is not only about himself. Indeed Syed plans not only to live stream his travels on social media sites like Facebook, YouTube and Twitter, but is prepared to produce a documentary of the trip to showcase and highlight the Muslim American experience from sea to shining sea. To do that, Syed and his team will highlight the positive aspects of the trip and pay particular attention to what is being done right in the mosques they visit. “If there’s a women’s area that’s being property taken care of, or if a mosque has handicapped ramps, clean bathrooms and (tidy) shoe racks, then I want to showcase that,” he said, adding the documentary will also capture scenes from the road trip, that most American of rituals. And just as Syed said his dream of giving Adhan in all of America’s 50 states is not just for himself, so too is he not alone in the planning of and execution of his historic journey. He’s enlisted the help of a flagship sponsor, Life for Relief and Development, and is also seeking individual and other corporate donations to fund the trip. He’s also recruited Push Brand Marketing to handle logistics and photography along the way. The company is also tasked with uploading images and video to social media in real time.